My first go at using the wonderful paint-kit from Goran and Cessnarox. 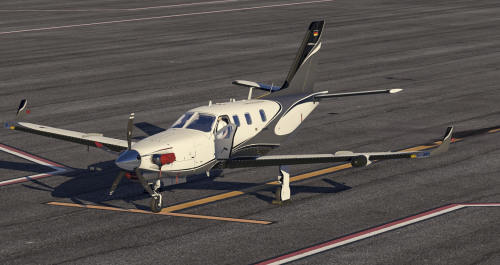 I fancied a nice dark scheme and so here it is - completely fictional and probably how I would paint a real TBM900 if I could afford one. 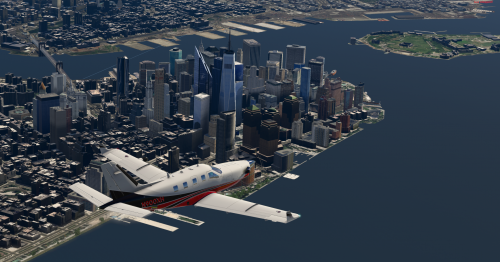 To install, just unzip and place in your HotStart TBM900 livery folder. 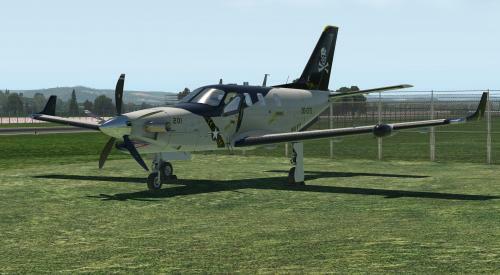 You can use your own font, you may have to configure the immat position in the Plugins > TBM 900 > Change Registration. Don't hesitate if you find any glitches. 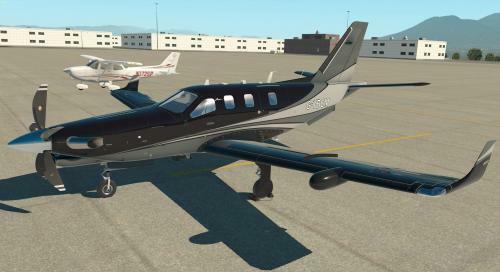 here is my first livery for X plane and for the TBM, a replica of N422AZ TBM 850 of Francis Ford Coppola. The plane comes with the right font for the registration. 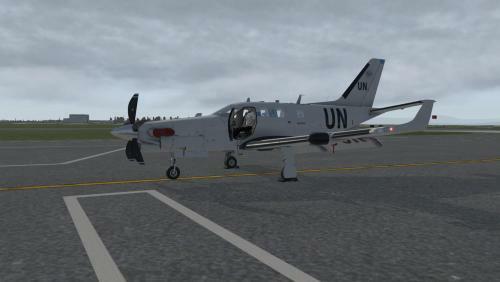 United Nations TBM repaint. 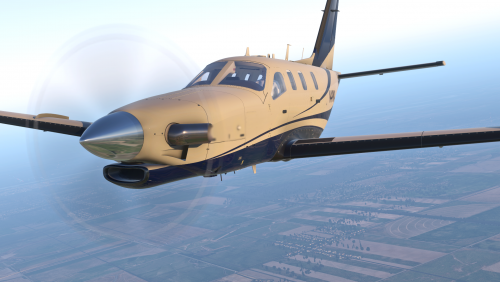 Come join us on pandemic events and fly this puppy into hard and unforgiving fields, bringing supplies and doctors to sick patients. 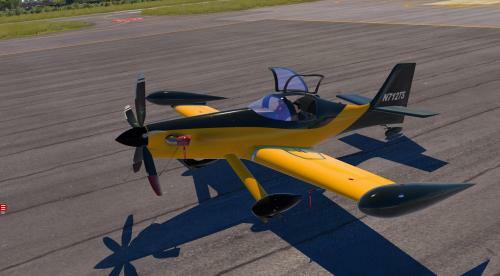 Just search pandemic vatsim on google. 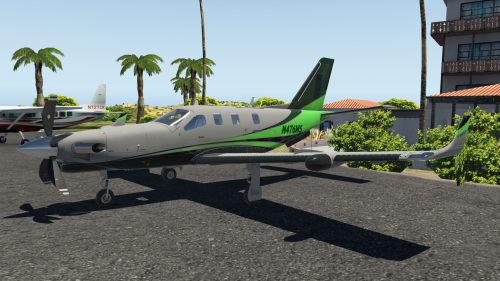 Thanks to Cessnarox for the paintkit! 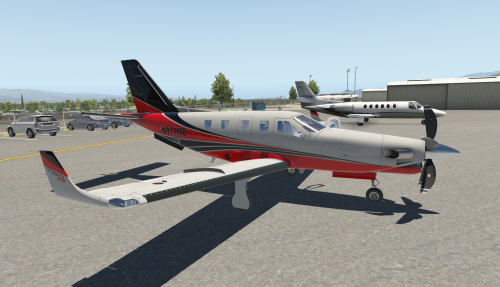 Livery for Hotstart TBM 900, tail number N900XH. 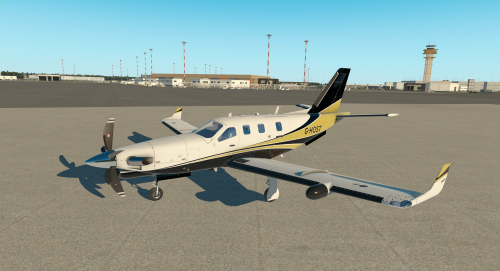 Simply extract file to TBM-900/liveries folder. 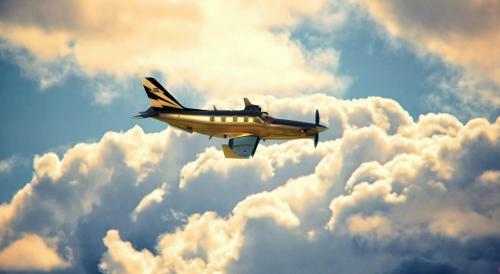 Congrats to Toto and Goran for an amazing aircraft! 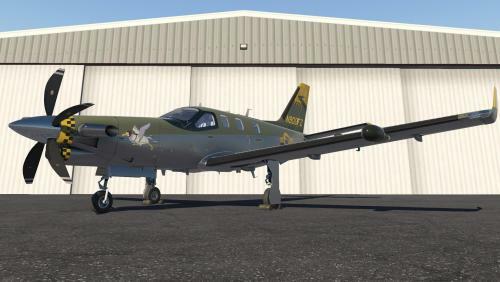 Livery for Hotstart TBM 900, tail number N900CN. A fictional white, gold and black livery. 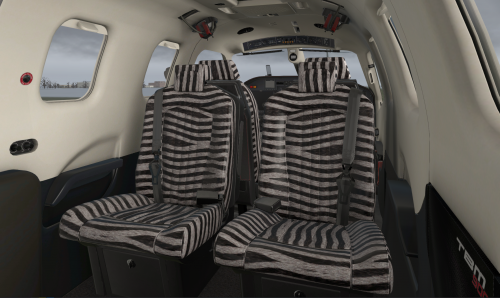 To install, unzip and place in your HotStart TBM900 livery folder. 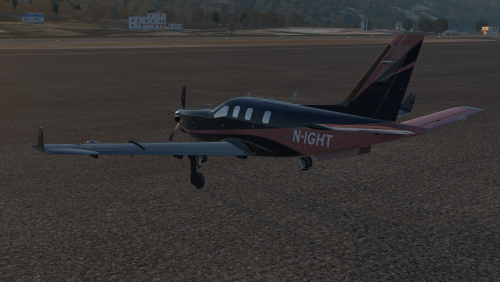 Official paint kit for the Hot Start TBM 900. Created by Goran Matovina and Cullen Chandler (Cessnarox). 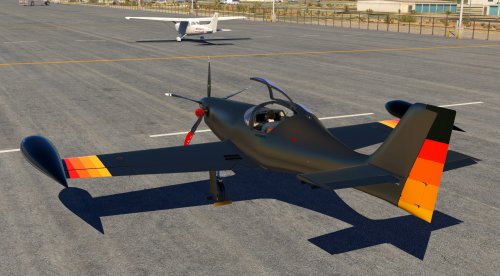 Some People saw My Dodo liveries with the water droplets on the discord and asked me for it, I'll keep those ones but I made a similar one to post Here. 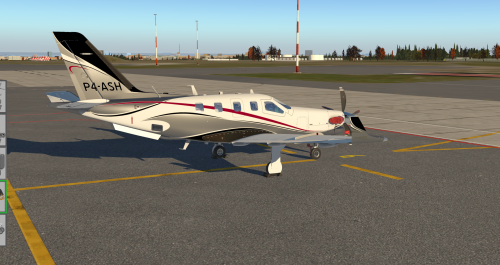 This repaint is made for TBM 900 by HotStart. 1. 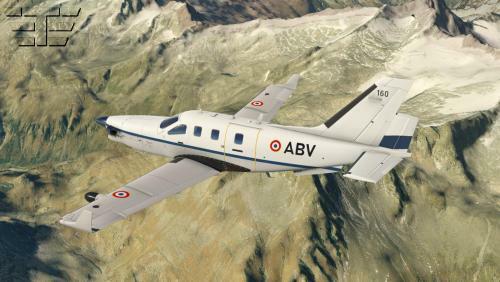 Copy the folder "French Air Force" to the folder "liveries" of the TBM. Every feedback on things you like or don't like is highly appreciated. For requests and further repaints please visit me on Facebook. NOTE : The registration is already pre-made, but you can use the existing registration editor to tailor the livery to your liking! Creative rights go to Delta_Who. Logos and branding are associated with their respective copyright holders. 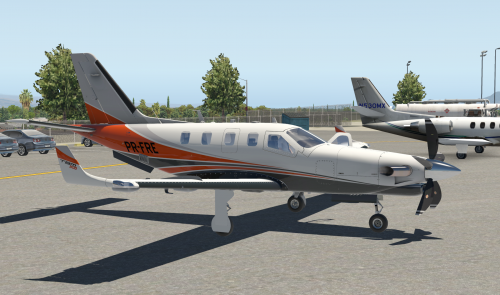 Livery for Hotstart TBM 900, tail number PR-FRE. 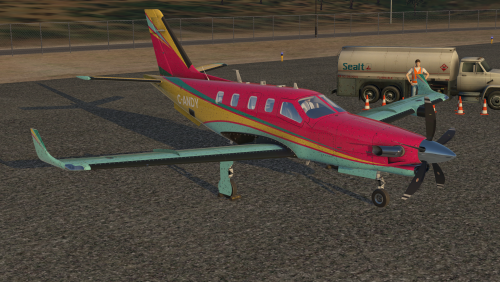 Livery for Hotstart TBM 900, tail number N979MB. 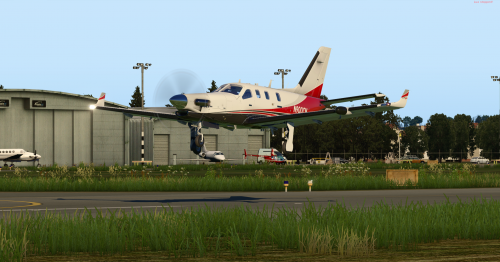 Livery for Hotstart TBM 900, tail number N476MS. 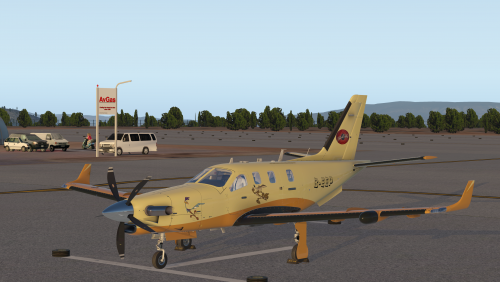 Livery for Hotstart TBM 900, tail number N694PB. Just a small color mod to "Golden Prestige" livery. Thanks to Cessnarox and Goran for their beautiful artwork.